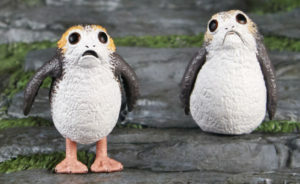 Gizmodo has announced that Mattel will be offering a SDCC Exclusive Hot Wheels Porg in Millennium Falcon Battle Roller this year. Displayed in special collector packaging this set will be available at the convention and online on June 26. 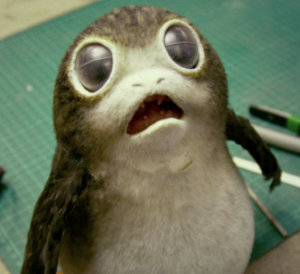 Flock to Gizmodo for the full details. 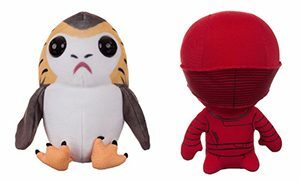 Sponsor Entertainment Earth has also listed their preorders for the 6″ Black Series Porgs set. Look for these to start migrating to collectors next month. Sponsor DorksideToys is now taking preorders for the 6″ Black Series Porgs 2 Pack from Hasbro. You can order as two 2-pks or four 2-pks for more savings! A Little Birdy Told Me…. 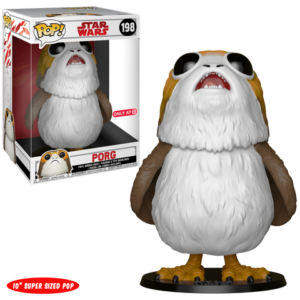 You may want to be perched on some of your favorite online retailers tonight around midnight (ET) to preorder Hasbro’s set of 6″ Black Series Porgs. Thanks to Lady Bird for the bird watching info. Funko has updated their blog today with the official announcement of the Target Exclusive 10″ POP! Porg from The Last Jedi. Look for it in stores and online starting April 22. Today we have some new Forces of Destiny listings to share via Brickseek (and confirmed via Amazon). 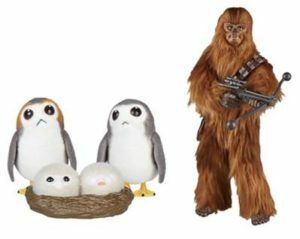 One of them confirms our report of a new rumored vehicle plus figure joining this line in 2018, others are 2 new adventures dolls and the addition of a new assortment of Creatures and Droids which will interest fans of Ewoks, Porgs (and baby porgs), and a green Jedi Master. Click on through for the details and a few images. Thanks to @JordanMaison on Twitter for the heads up.